This walk around company had the excellent idea to have some dummers walk on stilts dressed as soldiers. 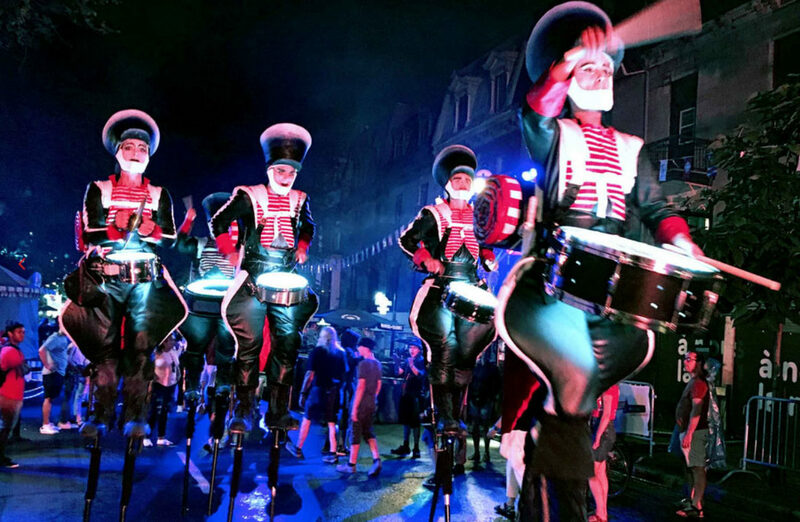 They can walk around your event or streets playing some marching band music with their LED drums. It is just the perfect ceremonial entertainment to have.